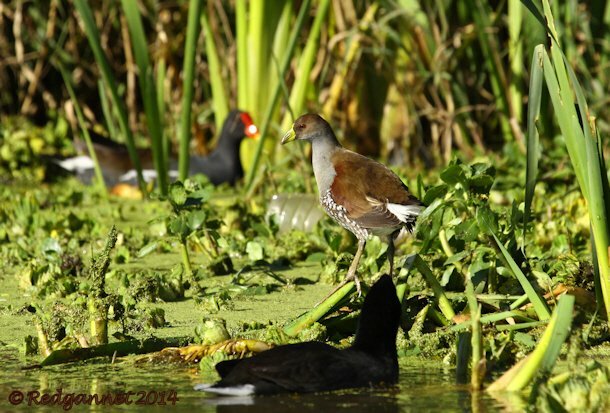 The Spot-flanked Gallinule Gallinula melanops is a common rallid of southern South America. It is easily seen and can be very approachable. These birds were seen as part of a 5-rallid morning on the promenade at Costanera Sur in Buenos Aires with this picture featuring 3 of them. The common name is self-explanatory while the latin name describes the dark marking of the head. The dark markings are easily visible and obvious, but are not present on the birds shown in this post. Despite trawling the internet, it is not clear if these birds are all juveniles, females or non-breeding males. The frontal shield is smaller than one would expect to see on an adult male. 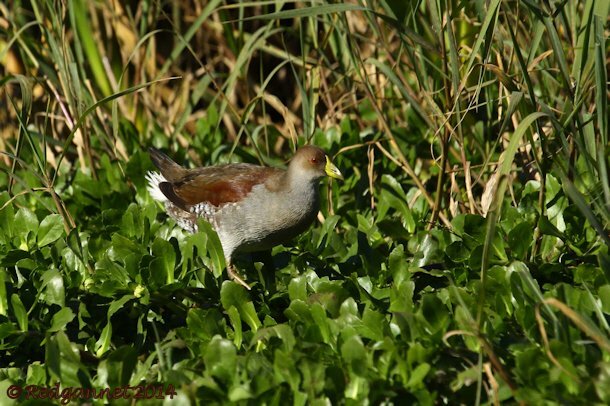 If you are familiar with the Argentinian version of the Spot-flanked Gallinule, your opinion would be valued. 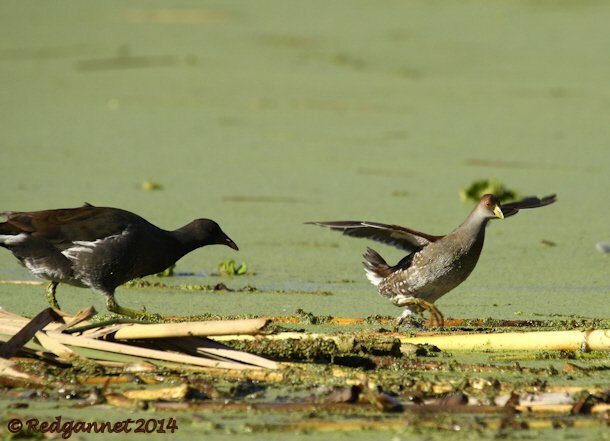 eBird gives a slightly skewed notion of the Spot-flanked Gallinule’s distribution. It is common on freshwater in the lowlands and can be found above 7000 feet in Colombia. eBird contributors are sparse in the interior of the southern half of the continent so the purple squares predominate in the popular spots closer to the edges of the landmass. 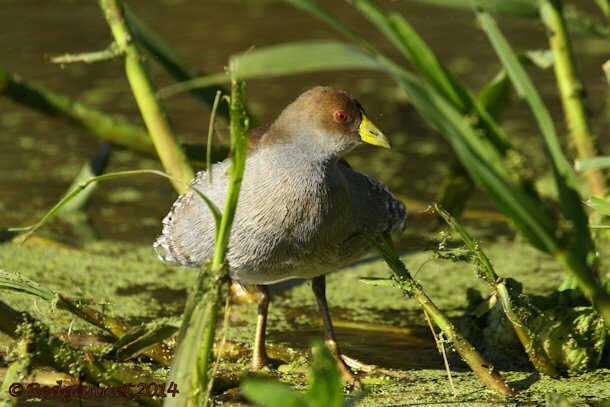 It resembles a crake rather than a moorhen and its spotted flanks add to the impression. Its bold, confiding nature however soon dispels the thought that this might be a shy Porzana. They feed from the surface of the water, taking floating vegetation and insects, diving only occasionally. 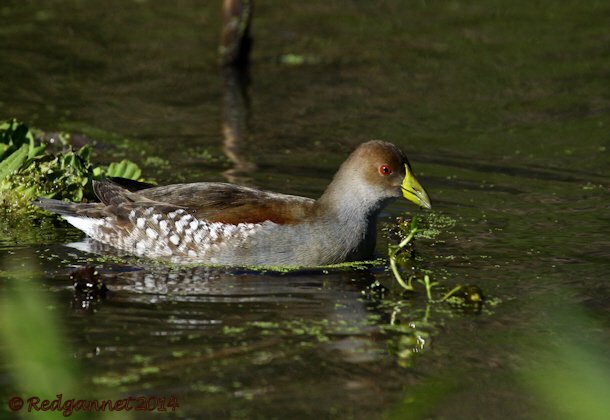 They are usually quite tolerant of other water birds, but are slightly smaller than the coots and moorhens and susceptible to a bit of bullying.